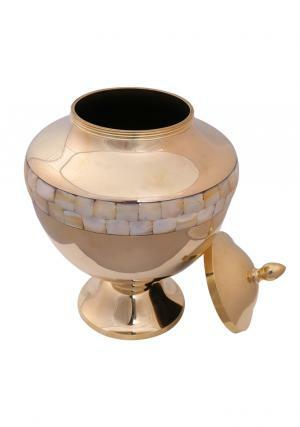 Gold pearl memorial cremation adult urn for ashes is a large ashes carable urn to personalise ashes of your loved ones. 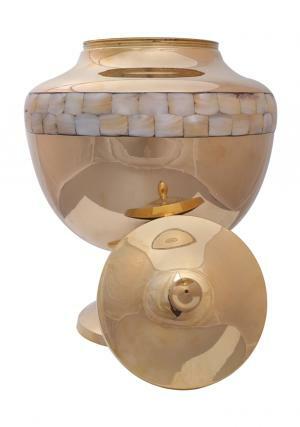 The large ashes adult urn has a combination of pearl and silver engraving from hands of fine, skilled professionals. The engravings are part of superior quality with glossy presence on the gold urn and pearl band. 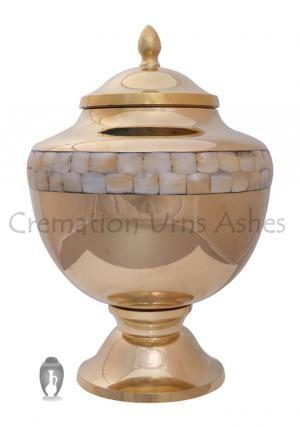 The gold pearl funeral cremation ashes urn is a 12 inch tall and 7 inch in width measures about 2.5 Kg approximately. 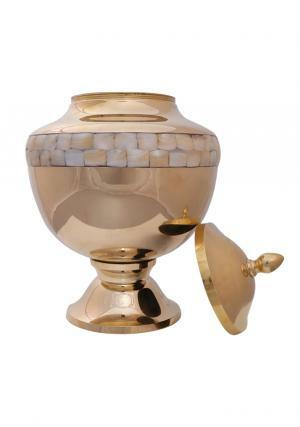 The golden pearl memorial ashes adult urn holds large amount of human ashes approximately 200 cubic inch.